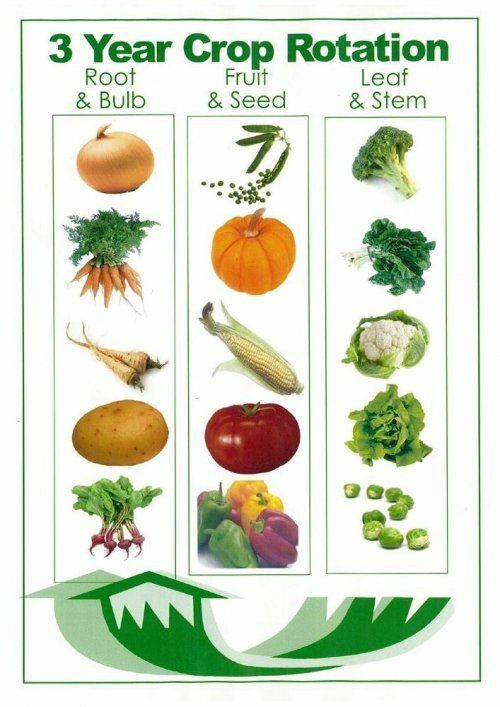 If you grow the same crop in the same place year after year soil-living pests and diseases which are specific to that crop will build up in the soil, and levels of soil nutrients will become unbalanced. There are so many recommended rotations – and some are very complicated and just not possible in a small space. If in doubt, just don’t grow the same thing in the same soil two years in a row (except of course permanent beds such as rhubarb and asparagus). 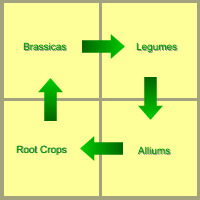 Some crops may surprise you in that they fall into a rotational group you might not expect. Swedes being a root crop, you would naturally think of them as falling in with the carrots and parsnips but they are actually a brassica. 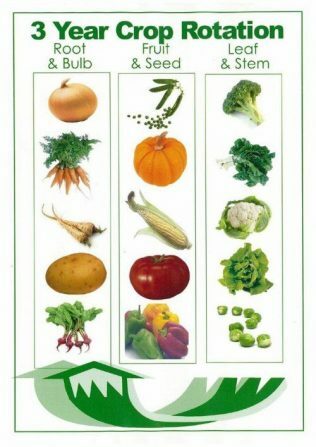 Tomatoes are part of the potato family, and artichokes are in the same family as lettuce! Keep lime away from potatoes because it increases the chances of them getting scab. Conversely, brassicas like a limey soil. So potatoes should be planted as far away from the application of lime as possible and brassicas can go in to soil that has been limed. Potatoes like a rich soil, which is slightly on the acidic side so manure before planting potatoes. Beets and onions dont need rich soil either so can fit with the roots in a rotation if needed. Legumes like manure. Legumes take nitrogen from the air and store it in their roots (called nitrogen fixing). This nitrogen is valuable for brassicas which often follow legumes in the rotation cycle. 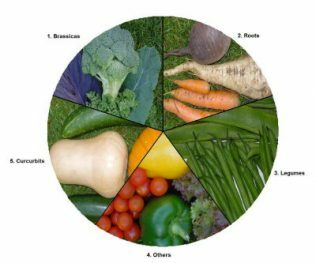 lettuce and cut-and-come-again crops can be fitted into any gaps, as can cucurbits (cucumber, courgette, pumpkin and squash) if they dont have a separate section in your rotation.